A BIG congratulations to you all and thank you to all those who participated and worked on the Parade! The Shamrock Club of New Dublin is proud to announce our Irish Man & Rose and Parade Marshall for 2019. 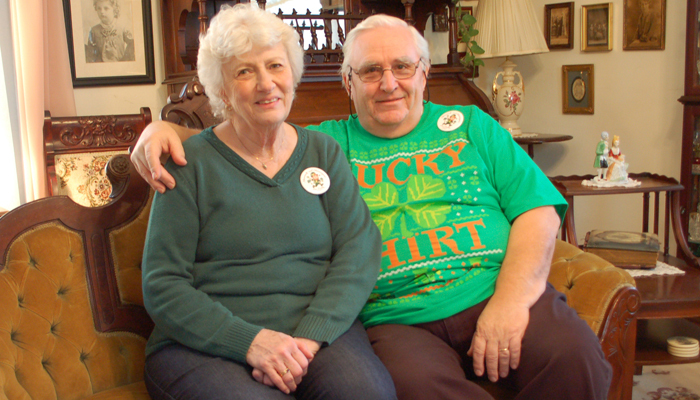 We have chose as Irish Man, John Paters and as Irish Rose, Kathleen (Kay) Mielke. They have performed for all of our Irish Entertainment nights through the years and do a wonderful job. They have fully supported our organization and we are so happy they have accepted. Our Grand Marshall this year is no stranger to our Parade. 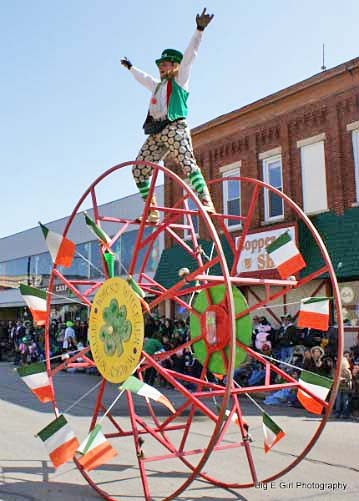 Better known as “The Wacky Wheeler” Rob Summerbell has decided to retire from “Wheeling” due to health reasons and we are very proud to have him watching the Parade from the dignitary stand as our honored Marshall this year. You can read his story on NBC15 out of Madison by clicking here. We are looking forward to another great year, our 35th, and hope to see lots of smiling faces at our events again as we always have. On Saturday, March 10 @ Mosquito Hill Nature Centre, Green Apple Folk Music will present “A Celtic Afternoon” featuring a variety of Celtic music performed by Mike O’Connell & “Flip of the Coin”, Paul Srubas, Terry Dawson, Pat Schwenke, Jim Anger, Steve Peterson with Dan & Dean, & Melissa Mulroy. This is a family friendly venue suitable for all ages. $2 for Green Apple members, $5 for not yet members. Under 12 free. Music begins promptly @ 2:00 p.m. with intermission treats. A fine way to celebrate the music of the Olde Sod in preparation for St. Pat’s week here in New Dublin. We hope to see ya there! The Shamrock Club of New Dublin is proud to announce our dignitaries for 2018. 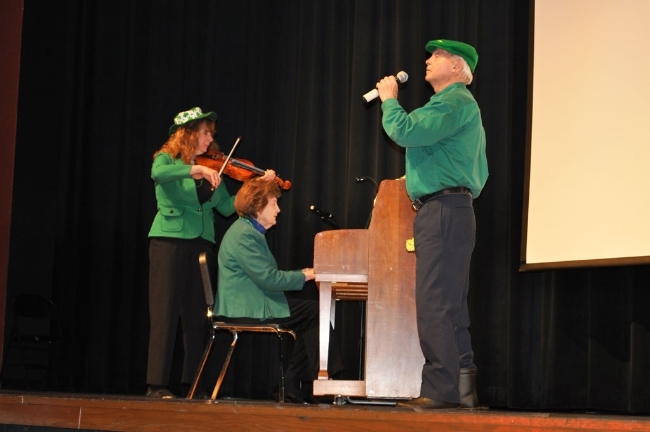 This year our Irish Man is Randy Genske and Irish Rose is Arlene Birkholz. Randy has been an active member for many years and has been a great help on Parade day setting up the Dignitary and Announcer’s Stands. 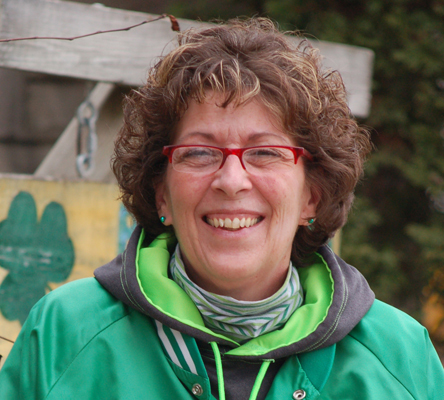 Arlene is a former owner of The Pine Tree and has always supported the Shamrock Club by advertising on and using our placemats, advertising on our poster and selling buttons. We are thrilled that they have both accepted and I know they will have lots of fun this year and will represent us well. Our Parade Marshalls this year are Dan and Lovana Rice. They own Rice’s Greenhouse and have also been great supporters of our organization through the years. We are very excited that they agreed to let us honor them as dignitaries this year and I know they will have fun with our events throughout the week and watching the Parade. 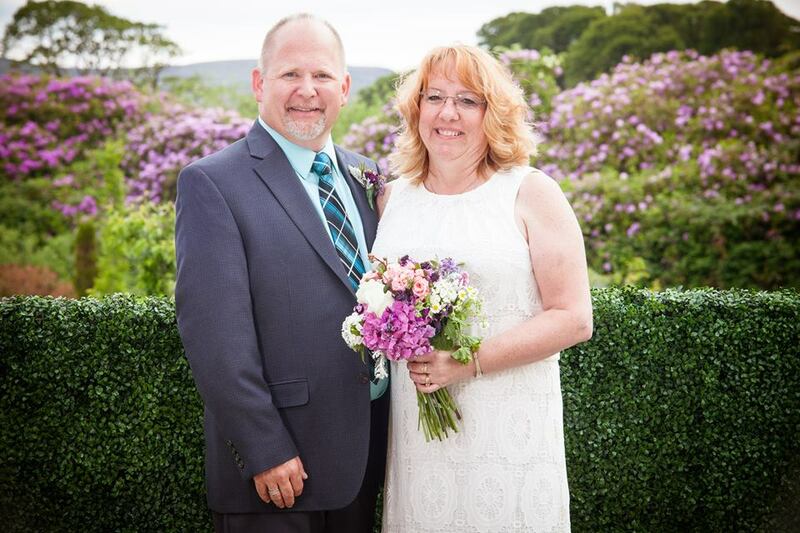 Our Parade Judges this year are Todd & Lori Barrington. They have also been active in the past by helping to take care of our Parade Dignitaries and are a great addition to our list and will be very fair and impartial judges. Congratulations to all of our very deserving Dignitaries this year and if you see them out and about in the community please congratulate them as well. Parade Director and 2017 Irish Rose Jill Hart announced the winners of this year’s Grand Parade. Congratulations to all the winners. It was indeed a Grand Parade!!! If you couldn’t come to the Parade you can view it on You Tube.